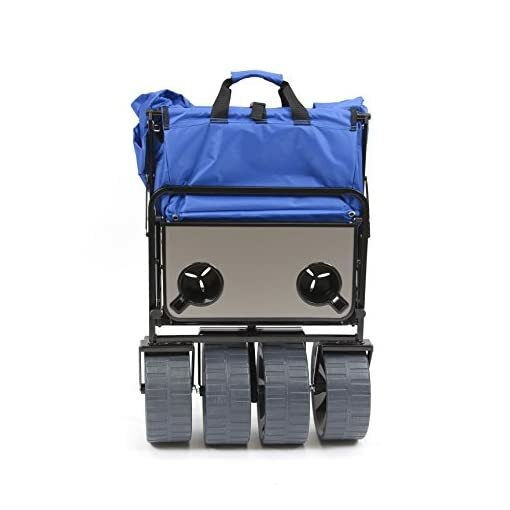 HEAVY DUTY – Folding outdoor utility wagon has a large capacity interior, perfect for storing beach gear, toys, snacks, and any other outdoor essentials. 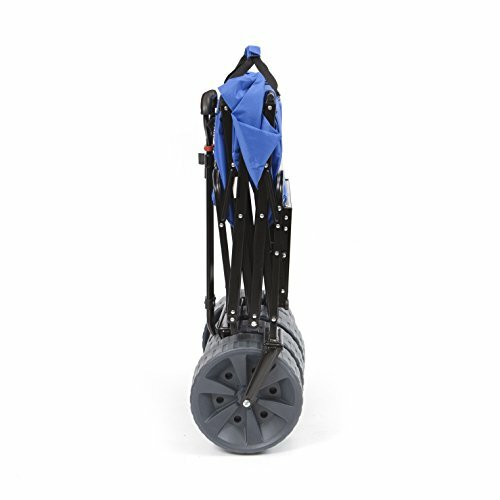 The heavy duty frame allows loads up to 150 lbs. Interior measures approximately 36.2″ x 21.4″ x 24.59″. 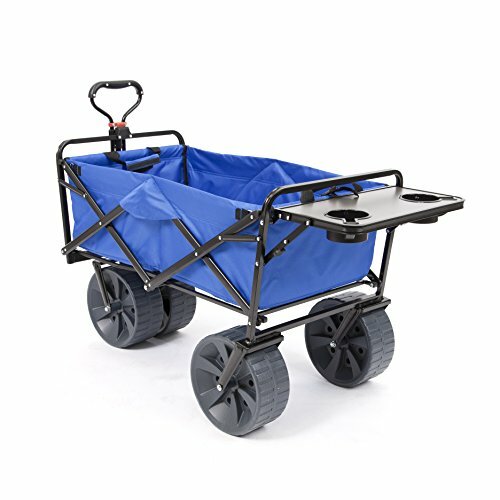 COMPACT STORAGE – Wagon cart folds to only 10″ thick for easy storage in a car trunk or coat closet. Folded size measures approximately 31.48″ x 21.4″ x 9.64″. The durable 600D fabric can be easily cleaned so you can leave your messes outside. 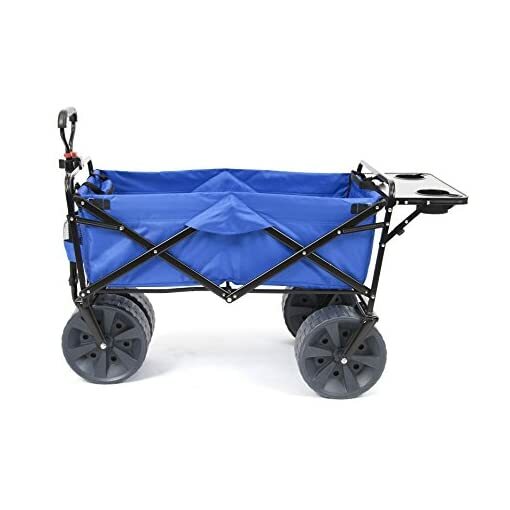 SIDE TABLE – Foldable wagon features 2 built-in cup holders and a mobile phone holder. Ensures that all of your drinks and snacks are close at hand, and you can grab your phone to capture memories! 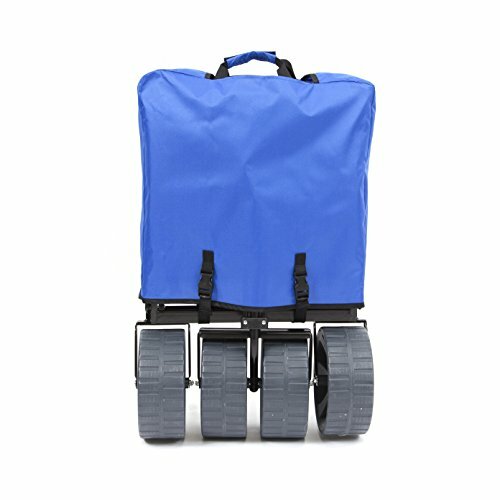 Your favorite folding wagon now comes with cool feature. Load up this foldable wagon with all of your beach or backyard essentials and get ready for an easy haul. Underneath its solid construction and durable polyester fabric are giant wheels that roll over different surfaces without trouble. Collapse it down and store it away or pack it in the car for a road trip with the family. Newly added rear table comes with two uniquely designed cup / phone holders for your favorite drink and snacks, perfect for any sporting events or concert at the park. 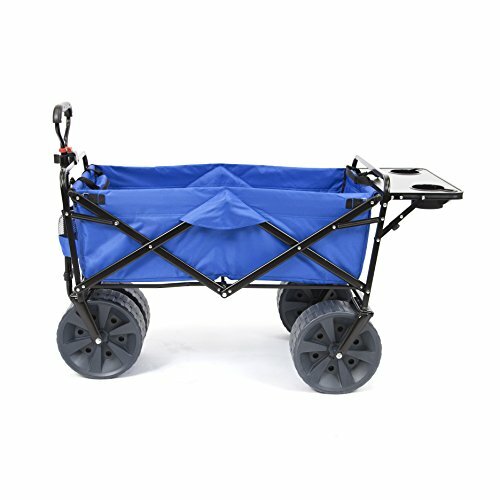 Why make multiple trips when you can get it done all at once with your MAC Sports® All Terrain Collapsible Wagon. 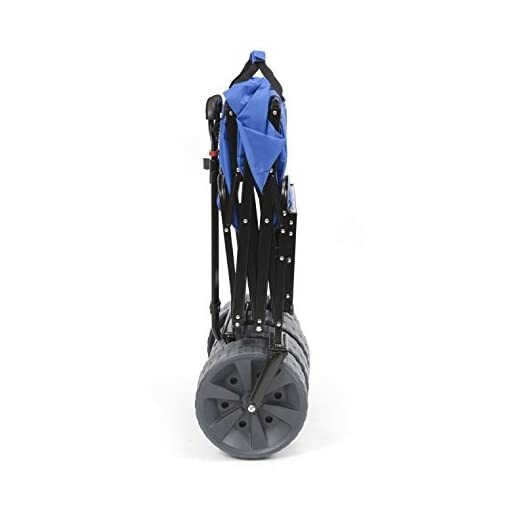 -Max Weight in Deep Sand: 50 lbs. 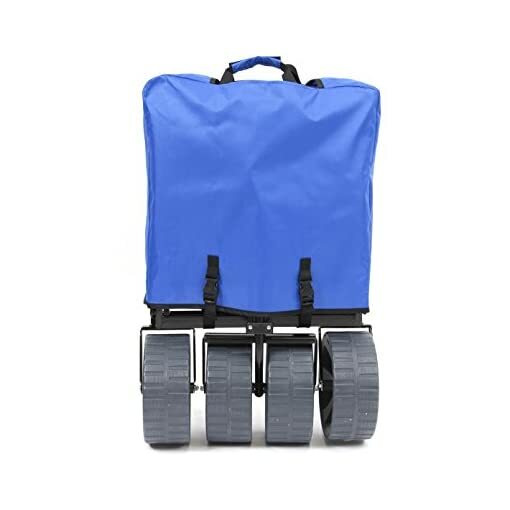 LIGHTEN THE LOAD – The heavy duty frame allows loads up to 150 lbs., and the durable 600D fabric can be easily cleaned. 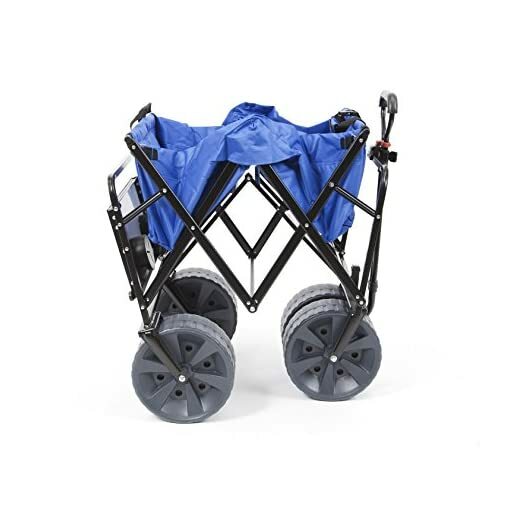 FUNCTIONAL FEATURES – include an adjustable handle for effortless transport, 2 mesh cup holders by the handle to keep your beverages secure, and a fold out table for drinks and food. EASY TRANSPORT – perfect for hauling gear to outdoor sporting events, concerts, trips to the park or beach and great for use around the house.